Trust the Expert Network Cabling Contractor of Québec! Are you looking to upgrade structured network infrastructure in your organization? Do you need a cabling installer to take care of your all the data cabling needs? 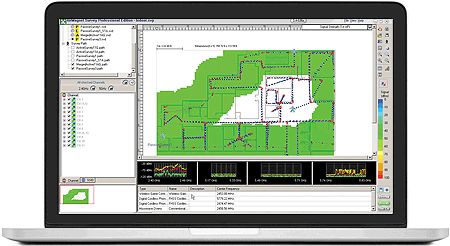 Is it time for routine cabling installation and maintenance? Whatever your requirements, CablingHub is here to help you with its expert cabling services. The network cabling company is dedicated to providing superior cabling and network repair services in Québec and neighbouring communities of the region. The Advantage of Certified Cabling Installers at your Doorstep! When you hire a cabling technician without full background checks and review of references, you expose your organization to a complete stranger. You may be left with more expensive cabling repairs in the future. 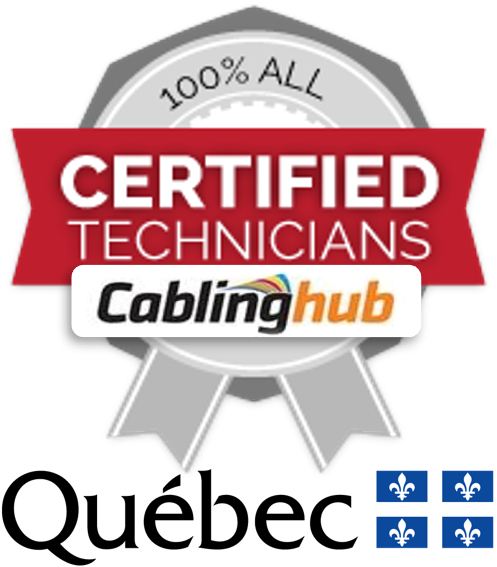 At CablingHub, we work with certified cabling technicians in Québec with huge experience to ensure that they treat your business with care. We are not a mediocre cabling company. We implement professional, latest, innovative and structured wiring techniques to promise durable network infrastructure. We stand by our work and provide a stress-free cabling job. Whether it is a cabling issue in the warehouses, manufacturing units, restaurants, plants, working space, offices, hospitals or any other part of your organization, CablingHub will help you sort it with expert cabling services. Our long-list of network cabling services includes: Fiber Optic Installation, Server Room Design, Security Camera Installation, Structured Data Cabling, CCTV Installation, Business Paging Solutions, Phone/Voice/VoIP Cabling, Data Cabling Solutions, Cat6a/Cat6/Cat5e Data Cabling Solutions, IT Cabling Support, Data Centre Cabling Services. Why Companies hire CablingHub for every Cabling Issue in Québec? We take pride in providing effective, affordable and most importantly, structured cabling services across Québec. We have a reputation of being dedicated and hard-working cabling installers in the region and we ensure only the best to our customers. We offer a wide-range of cabling services that can be customized according to your organization, requirements and budget. Whether you need a network installation from the scratch or a backbone cabling to your server room, we have you covered! Our entire crew of certified network cabling installers possesses the valid Certificate of Qualification to work professionally. Also, the company's cabling technicians have all the certificates to assume any type of network cabling project in Québec. Do not worry about dead drops. Stop stressing over outdated backbone/incoming cabling. Do not take tension of current incorrect type of structured cabling. 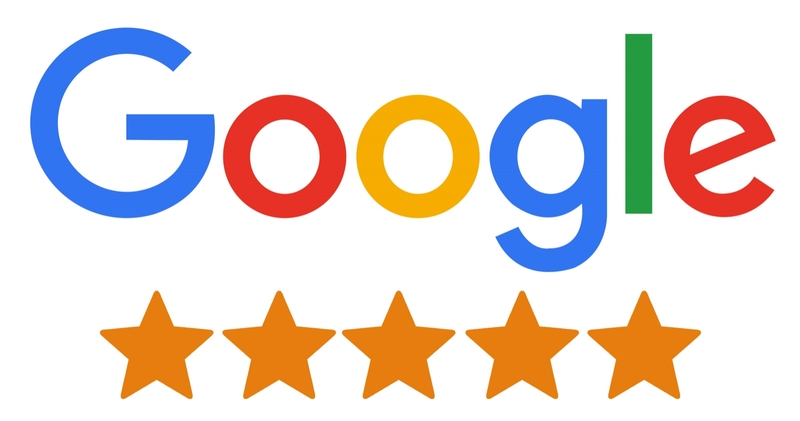 Simply give us a call; we will address the issue quickly as well as provide you with guidelines to avoid the problem in future. When it comes to any type of network cabling project, it all comes down to TOTAL. Every businessowner is worried about the cost of a cabling project. But, do not sacrifice quality for price. A small recurrent cabling issue has the potential to damage the structural integrity of your entire network infrastructure. So, choose the reputed services of CablingHub Québec in and we will fix the recurring cabling issues in your organization and take care of routine cabling maintenance as well. If there is a specific network issue that you need us to check, we will help you with a comprehensive cabling inspection. Simply give us a call at +1(905) 919-3291 and set up an appointment so that we can give you a precise, upfront estimate for the project. Hire the best cabling company of Québec and make the right decision towards protecting your biggest investment: your Network Infrastructure. Montréal, Quebec City, Laval, Gatineau, Longueuil, Sherbrooke, Saguenay, Lévis, Trois-Rivières, Terrebonne, Saint-Jean-sur-Richelieu, Repentigny, Brossard, Drummondville, Saint-Jérôme, Granby, Blainville, Saint-Hyacinthe, Shawinigan, Dollard-des-Ormeaux, Rimouski, Châteauguay, Saint-Eustache, Victoriaville, Mascouche, Mirabel, Rouyn-Noranda, Boucherville, Salaberry-de-Valleyfield, Sorel-Tracy, Vaudreuil-Dorion, Côte Saint-Luc, Val-d'Or, Saint-Georges, Alma, Pointe-Claire, Sainte-Julie, Boisbriand, Saint-Bruno-de-Montarville, Sainte-Thérèse, Thetford Mines, Sept-Îles, Chambly, Magog, Saint-Constant, La Prairie, Baie-Comeau, Saint-Lambert, Kirkland, Varennes and all major towns across Québec. CablingHub is a leading cabling contractor in Québec providing quick installation and network maintenance services including structured cabling, Cat5e Cat6 cabling, fiber cabling, paging installation, phone wiring, CCTV installation services since 1995.